I have so missed posting for the beginning of 2018! 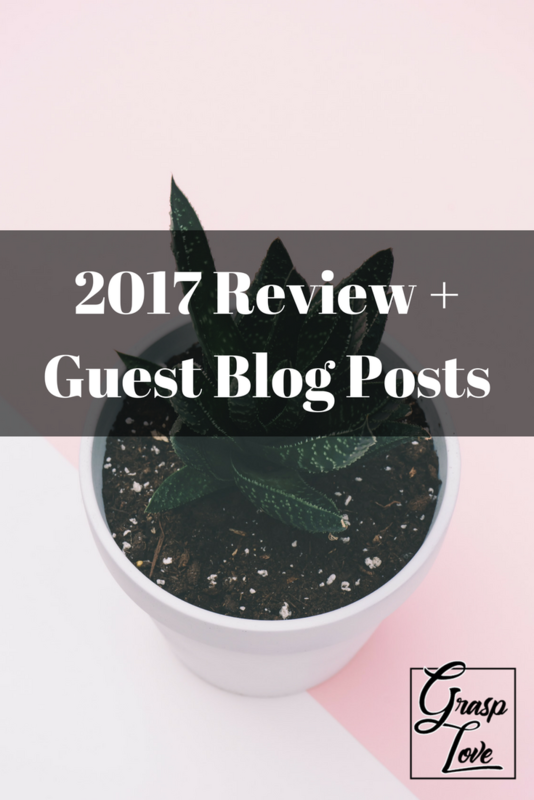 I have been dealing with health issues (that I’ll be sharing on the blog soon), so what I want to do is take a look back at 2017. Aside from launching this site and writing some posts, I was also able to guest blog on two other sites. My prayer whenever writing any post is that God would speak to your hearts as He speaks into mine. I also pray that I will be sincere with you, and that I may live out what I share with you. This was my first-ever blog post! My friend Jessica is a mom-blogger who writes at Intentional in Life. She blogs about different ways to be intentional in your life, whether it relates to parenting, homeschooling, or daily life. She encouraged me to try blogging by writing a guest post on her site, and kept encouraging me to then launch this site. I loved getting the chance to write about worship! Tatiana, over at Musings of Mum, was so kind to invite me to guest blog on her site. She blogs about motherhood, and looks to inspire women in any stage of motherhood. I was so blessed to be included in her series and get to encourage all the busy moms and pray for them. I hope this will encourage you (if you’re a mom), or that you will share this with the moms in your life! This was the first post to go live on this site. It was such an appropriate topic to get the ball rolling here at Grasp Love — the future. Upon starting any new chapter in your life, the unknown can be a scary destination. But with God leading the way, you can rest assured that your past and your present will be used for the good of your future. This was such a fun post to both write and shoot! My two friends Ana and Helaine (pictured in the post) helped put this together. We had a blast picking outfits and finding places to shoot Helaine. My favorite thing about this post was introducing the concept of “Three-in-One Style,” where one piece in your wardrobe can be used to create 3 distinct outfits. My goals in sharing this concept include promoting modesty, promoting inclusivity of different body shapes/sizes, and good stewardship. I hope you’ll join me in coming up with new outfits, themes, and inspiration! The last blog post of 2017 set you up for a different kind of Christmas list, one you may not find on too many blogs. The heart behind this list was to look for new ways to show the love of God without having to get too materialistic about it (that’s easy to do during the holidays). Loving others sincerely is hard work, but how good is God that He gives us ideas like the ones on this list to get out there and love like He does?! This is one list I’ll be keeping (and hopefully expanding!) for years to come. And that’s it for 2017! I pray that these posts will bless you and those around you! Would you share one (or all of these posts) with a friend? You can just send them the link to this post and they get the entire review with all the links. Thank-you for your support and patience. I can’t wait to share some new things with you for 2018!